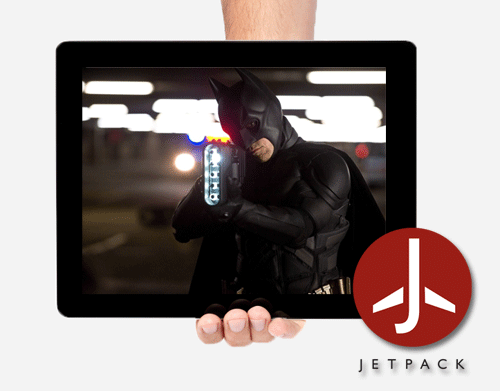 JetPack are a leading supplier of innovative portable solutions for In-flight Entertainment systems. Our proprietary software, Vision, is the first iPad IFE platform to meet the rigorous security criteria necessary to secure Hollywood ‘early window’ content. We create branded systems for airlines and, by leveraging the technology of the latest iPads, we can significantly increase the depth and scope of content available in flight. At JetPack, we provide a full, comprehensive service from supplying technology solutions – tablets, charging and synching stations, and the world-beating support needed to support large deployments of iPads in an aviation environment – to providing a bespoke, curated content according to the exacting needs of partner airlines. We are constantly expanding and developing our offering to ensure there is not better entertainment system in the skies. We can supply new Apple iPad units to airlines in quantities from 20 to 20,000. All iPads come with AppleCare, Apple’s extended servicing agreement. We work closely with clients to understand their requirements and advise on the iPad model and capacity most suited to their particular needs. In addition, we can also provide high quality iPad cases, which can be branded to include custom airline livery. We also have battery solutions to allow for longer flying times, and for situations where turn-around times are tight. Our innovative application, together with the leading-edge technology of the iPad displays content at its most dazzling. At JetPack we work closely with partners to ensure they have the in-flight entertainment system they need and the look and feel of the software is customized to reflect the branding and livery of each airline. Our multi-layered security approach means that we have ‘early window’ Hollywood approval and can provide a wide range of first run and classic movies and television series from major studios including multiple languages and/or subtitles. The iPad also makes it possible to broaden the range and scope of in-flight content. It is a fantastic gaming device, and we can provide a wide range of addictive and compelling games for all ages. The iPad is also an ideal platform on which to listen to music, leaf through an in-flight magazine, or read books and magazines add to the package, making the iPad the most comprehensive entertainment platform in the sky. At JetPack we have created robust support systems capable of supporting large deployments of iPads in an aviation environment. Our Charge+Sync Hub allows us to remotely manage all aspects of the devices and update them with new content.